Decaffeinated coffee has historically had a bit of a bad rep, especially in the minds of coffee connoisseurs. For a long time, it’s been viewed by many as a drink for the blood pressure conscious or for the instant coffee consumer who cares little for flavour and just doesn’t want to feel jittery. However, in more recent years, as part of the growing trends towards healthy living, clean eating, and fitness, Millenials are making a conscious choice to drink Decaf more frequently than has ever been seen in the past. When many people think of the term Millenial it conjures up the idea of a fresh-faced graduate. Today, however, a grown-up millennial is really anyone aged 20-37 and if you have a coffee business, that’s a massive chunk of your market. 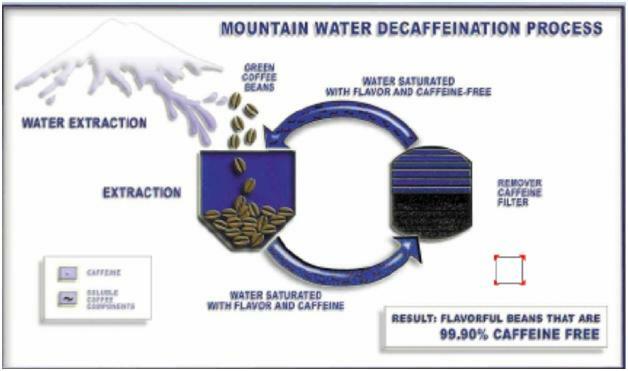 Unsurprisingly, better quality decaf is therefore now in demand with a preference for the Mountain or Swiss Water method of processing which uses only water to remove the Caffeine rather than the MC process which utilizes Methylene Chloride. The biggest challenge of all in removing caffeine from living plants is that it is there for a reason. Caffeine is a natural insecticide, which explains why wild coffee plants that lack caffeine tend to contain other bitter compounds — to deter pests. So, how do you protect the coffee plant from insects when it’s natural defence, caffeine, has been removed? Laurina, or “Bourbon Pointu” is a rare varietal from the Reunion Islands of small, pointy beans that usually present a lower caffeine amount than other Arabica varietals and as it doesn’t require decaffeinating it tastes, as you would expect, like other normally caffeinated coffees. However, Laurina is still a very sensitive plant, and yields remain low, which is why it’s so rare and why it could never really be viable commercially as a low caffeine or decaf varietal. When the coffee which is being decaffeinated is selected for quality, the water process preserves more of its original character and makes for the best results. Water processing remains the best option to produce the best-tasting decaf coffee and it is undoubtedly the best option for quality conscious decaf drinkers.